Microsoft Windows is a graphical user interface operating system. 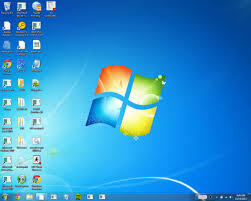 It is very easy to operate the computer with windows operating system. In GUI based operating system, we can give commands to the computer by clicking on icons, menus and buttons using a pointing device like the mouse. It is not necessary to remember commands to perform any tasks in the computer. The background area of the windows screen where icon, menu etc. appear is called desktop. The desktop appears with different elements when we start the computer. The desktop appears on the screen when we enter username and password in the computer. The small picture buttons that represent commands, programs, files or folders are called icons. My Computer, Recycle Bin, Internet Explorer etc are the desktop icons. My Computer: It is one of the icons seen on the desktop. One can see the drive, files and folders inside it. Recycle Bin: It is a special folder of windows on the hard disk. Its icon appears on the desktop. It contains files and folders that are deleted from the hard-disk. Network: Network has the list of computers which are interconnected with each other. Through this, we can utilize the shared folders and devices. Shortcut: This is linked file of files and folders. We create shortcut files on the desktop to operate files, folders, and programs in a short period of time. Task-bar: Taskbar is a desktop toolbar that let you perform tasks such as switching between open windows and starting new applications. How to turn off the computer using Windows 7? When you've finished using Windows 7, be sure to turn off (or shut down) the computer correctly. 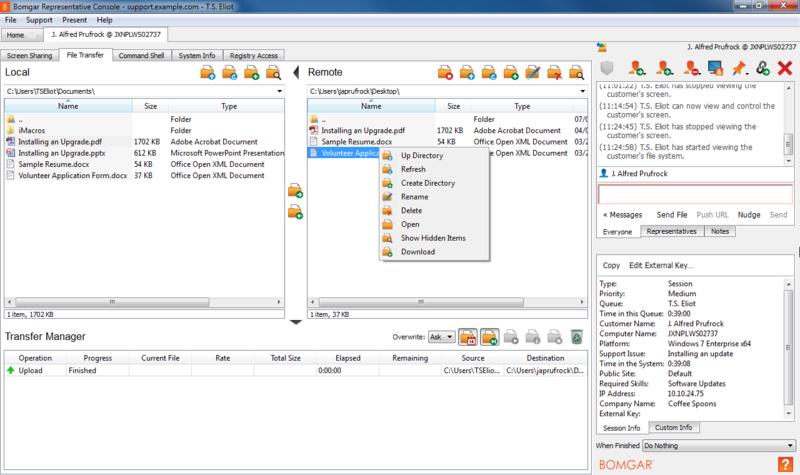 The files and folders can be copied or moved from one location to another. We can also delete or rename files and folders. 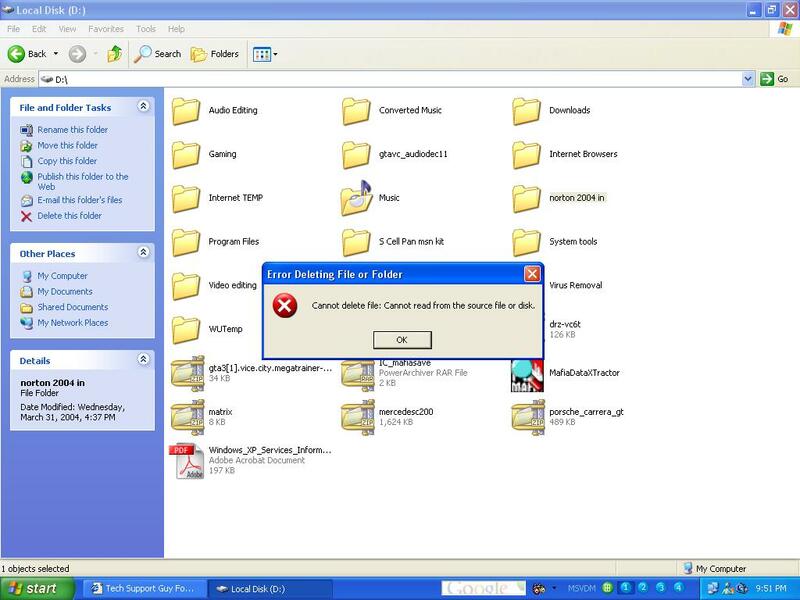 We can manage files and folders by using " My Computer" and "Windows Explorer" tools. Step 2: Click on the Copy option if you want to copy or click on the Cut option if you want to move. 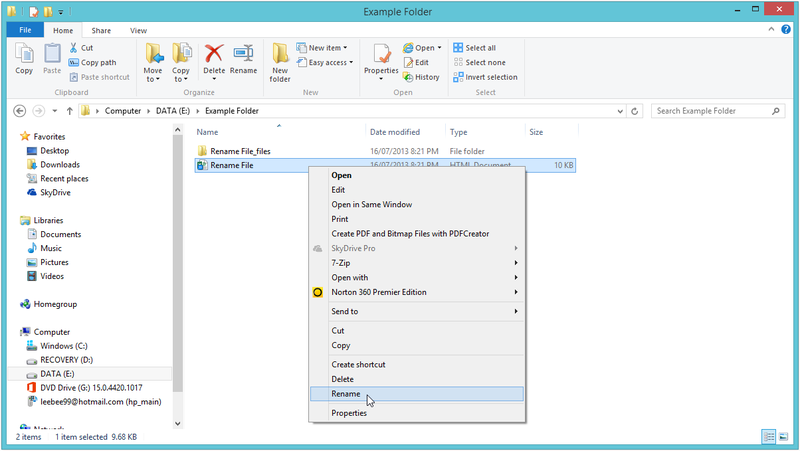 Step 3: Right click on the blank area of the location where you want to copy the file or folder. Step 4: Click on the Paste option. Step 3: Click on Yes option. Then the file or folder will be deleted. The deleted files and folders go into Recycle Bin. Sometimes we may forget the name or location of the file that we have saved. If we forget the location of our file, we can quickly find it by using Search feature. Step 5: Type the name of file that you want to search for " All or Part of file name"
Step 6: Click on the Search button. Windows 8 is a newer version of Microsoft Operating System. It was released on October 26, 2012 A.D. It is designed by using different user interfaces than that in Windows 7. 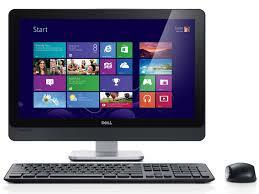 This operating system is specially designed for touch screen monitors. Its start screen looks like the screen of windows phone. While swiping the screen from right to left or clicking shortcut keys of windows logo or on clicking right corner (hot spot), we can see the different type of toolbar which is known as charm toolbar. We can find different tools like setting, device management, start, share and search on it. In this operating system, charm bar is used to turn off the computer. Microsoft Windows is graphical user interface operating system. It is very easy to operate the computer with windows operating system. The background area of the windows screen where icon, menu etc. appear is called desktop. The small picture buttons that represent commands, programmes, files or folders are called icons. Taskbar is a desktop toolbar that let you perform tasks such as switching between open windows and starting new applications. 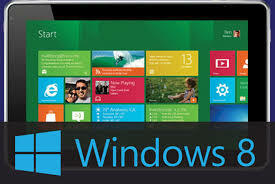 Windows 8 is a new version of Microsoft Operating System. What is the basic layout of the start menu? Microsoft Window Operating systems are the popular operating system for personal computers. They are Graphical User Interface. It makes hardware usable in computer and provides an environment to work on software. MS Window 98, Windows XP, Windows 7 etc. are some examples of windows operating system. What are icons? Write some desktop items. Any Questions on 'Introduction to Windows '?